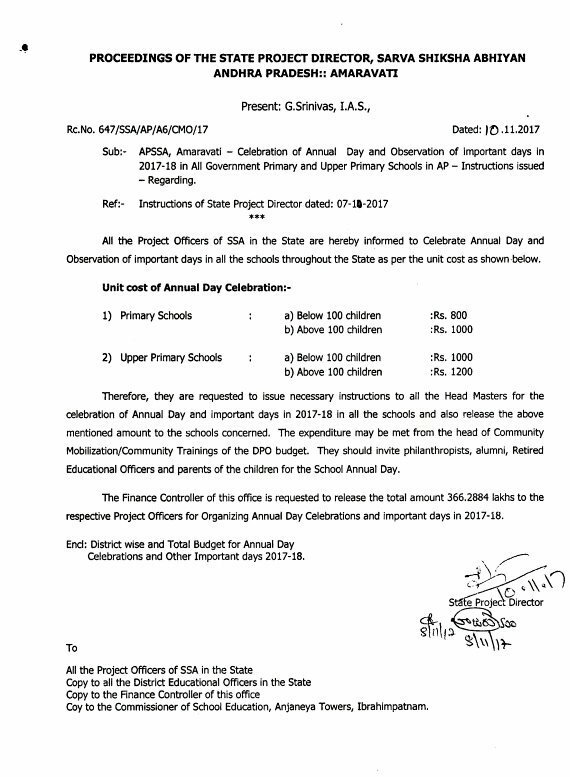 Therefore, they are requested to issue necessary instructions to all the Head Masters/Mandal Educational Officers for the celebration of Annual Day in all the schools and also release the above mentioned amount to the schools concerned. The expenditure may be met from the head of Community Mobilization/Community Trainings of the DPO budget. They should invite philanthropists, alumni, ex-teachers and parents of the children for the School Annual Day.